North Side Chicago Ethiopian kitchen and restaurant Selam Ethiopian Kitchen welcomes an influx of customers from Clarendon Hills, IL. The restaurant credits its popularity to an uncompromising commitment to authentic Ethiopian cuisine crafted from all organic ingredients and its unique blend of old-country hospitality. North Side Chicago Ethiopian kitchen and restaurant Selam Ethiopian Kitchen announced an influx of customers from the southwest Chicago suburb of Clarendon Hills. The expansion of the restaurant’s customer base is hinged on a reputation for the authenticity of cuisine and uniquely Ethiopian hospitality. Traditional Ethiopian cuisine pays homage to the country’s rich tapestry of culinary influences. The Chicago North Side Ethiopian eatery focuses on creating an authentic communal dining experience and is known for its use of fresh, local, and traditional ingredients. The restaurant serves traditional Ethiopian meals in Chicago featuring the country’s fermented flatbread—injera alongside Doro Wot, a delectable stew of chicken and hard-boiled eggs. The menu also features in-house specials such as Yebeg Wot, a spicy beef stew done two ways and Tibs Firfir, a lamb dish featuring Ethiopia’s signature berberé spice blend. The restaurant welcomes diners from in and around the city to its communal platter crafted from organic ingredients. The communal dining experience showcases the restaurant’s unique hospitality and is complemented by a wine menu featuring Tej, a traditional Ethiopian honey wine. Selam Ethiopian Kitchen also offers catering and takeout services. 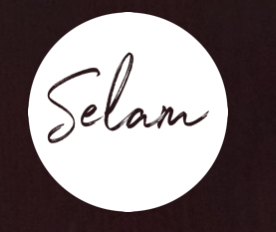 Selam Ethiopian Kitchen is a dine-in, take-out, and catering restaurant established in 2017 by restaurateur Solomon Abebe and chef Selamawit “Selam” Abebe. The restaurant was born from Selam Market, a community store established in 2009 and is one of the Windy City’s finest destinations for authentic Ethiopian cuisine. More information is available over the phone at 773-271-4300 and at the URL above.